These Insane Markings Show How Indians Are Defacing Heritage Buildings Abroad Too! What is the standard practice of Indian couples when they want to express their eternal love for each other while being inside an important public place or historic buildings? Of course, it would be defacing them through names and heart emojis. But, don’t they ever imagine what tourists think of such sights? Now, the Indian PDA has gone global. Despite people expressing their every emotion and movement on various social media platforms, some Indians haven’t really got past their old habits of marking their territory or love life by showing it off! 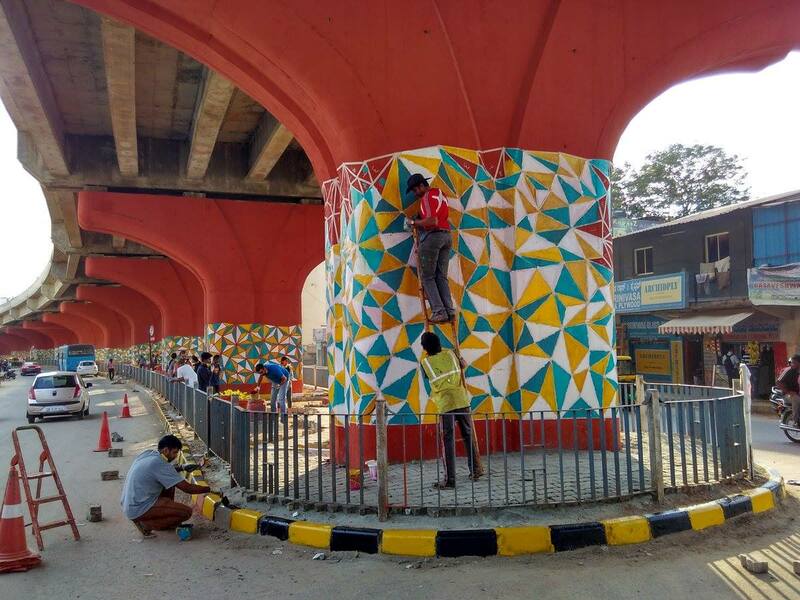 This Indian habit of defacing anything and everything is so rampant that the walls of under-flyovers have to get repainted to hide this shame! While spitting paan or scribbling public walls is the norm in India but abroad, it’s something totally unheard of – until now! Those ‘graffiti skills’ in India mean sending out strong love messages or thought-provoking slogans, but abroad, it’s vandalism! 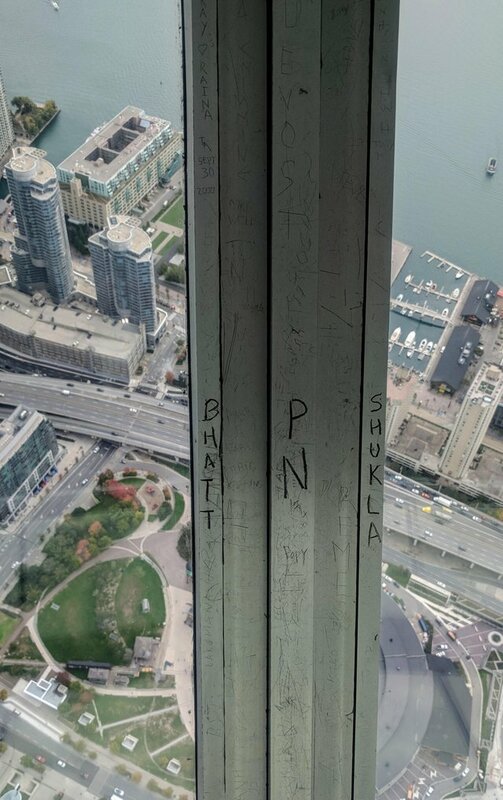 One Reddit user Baawri Kathputli posted a picture from CN tower in Canada which shows the grave reality of how Indians there are vandalizing vital properties. This pic is taken from the (553.3m high) concrete communications and observation tower (Downtown Toronto). Indians love marking their love everywhere, and this is a reality check! The shocking picture was posted with the caption “Indians marking their territory all across the globe.” It clearly shows the names like Bhatt, Shukla, and Raina on its walls. Zoom and you’ll also see ’30 Sept 2000′ scribbled on the skyline. Well, isn’t it high time for Justin Trudeau to take strict actions against those rampant and ignorant Indians? Only time will tell, but perhaps we could respect our own properties before spoiling anyone else’s? Time for some thought on this. What Is ‘Pop Up Dinner’, The Latest Rage In Ultimate Elite Dining Experience? Ever Wondered Why Silly Point Position Is Called Silly?